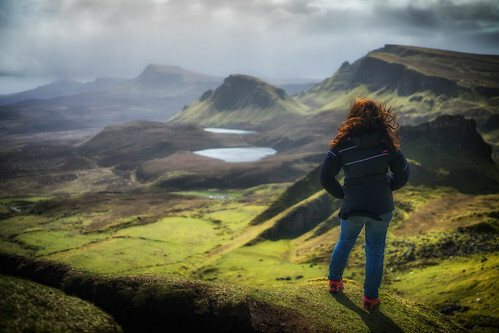 A view over the Quiraing on the Isle of Skye. A place you have to visit, if you are there. In opposite to the forecast, the sun comes out for us. But extremely heavy winds (round about 40 knots, all ferries from Mallaig were canceled) made it sometimes impossible to have sharp shots. Not to mention any kind of long time exposure. No we´re heading to our next destination near Inverness.